With spring upon us it was time to start creating with bright colors! The flowers are from Winnie & Walter's Anna's Flora stamp set and were watercolored then fussy cut. 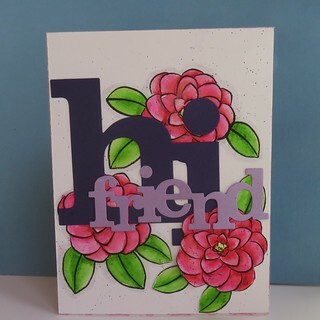 The fun sentiment words are W&W's HI and Friend Cutaways. I also added tiny black paint splatters.